The ATN ThOR- HD is accessible in four different versions in the market. However in this piece of writing we will be talking about ATN ThOR-HD 384 review in particular. All of these versions are well equipped with excellent features and attributes. With this feature, the users need not to waste their time while doing things like working on complex guessing, calculations, or memorizing charts. The smart range finder of the ATN ThOR- HD 384 will do that for you. Within only few clicks you will have speedy scope shift. You will be allowed to access your target in no time. 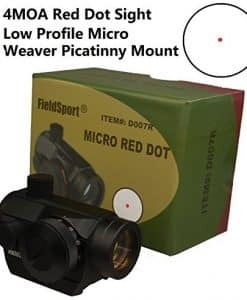 As soon as your target is ranged in; the reticle works by adjusting its impact point. All this ends up in offering perfect shot in every manner. It has perfect night vision mode that enables the users to see clearly in the darkness. It enhances the shooting experience at night or in low light circumstances. This is a useful and an attractive feature for all the hunters that like to hunt at night. This is yet another neat feature of the ATN ThOR- HD 384. It does not matter if you have forgotten to record the shot; this feature will record it for you. This means that you can enjoy the hunting without getting worried about if you have pressed the record button or not. The recoil activated video is an inbuilt feature and is capable of recording the videos during day as well as night in 1080p. Moreover, this feature allow you to go back home with your hunting and shooting videos. 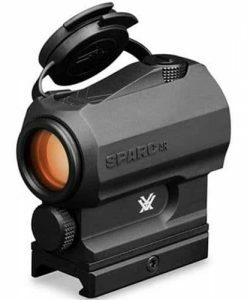 The scope is equipped with a number of color options and reticle patterns. Being a user, you can choose from these in order to enhance your shooting experience. ATN Obsidian app enables the scope to get connected to Apple or Android smartphone with Bluetooth or Wi-Fi. You can then watch live video streaming. Moreover, you can enjoy the features like accessing the gallery to view or share your picture. You can also email to your friends and family members. 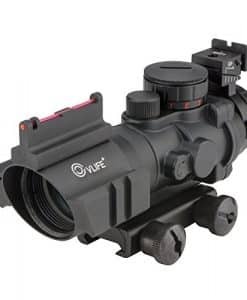 ATN ThOR- HD 384 scope comes with smooth zone feature that facilitates the users to clear up the closer views of things that that you will be looking at. This enhances the shooting experience in every possible manner. This kit allows the usage up to 22 hours in a continuous manner. It is easy to be recharged and facilitates the user to power the other devices as well. It has a zoom roller that facilitates the users to magnify the scope with simple action. Its buttons can be used to record videos or take photos without moving hands from the weapon. This means that you can keep your eyes on the target all the time. 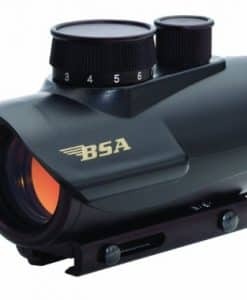 To conclude the discussion, if you are looking forward to have an outstanding hunting experience then you should consider in investing in ATN ThOR 348 thermal rifle scope. It will be supported with a 3 years warranty so you can have a peace of mind that it will work for longer time period. You will be amused with possession of ATN ThOR 348 in every possible manner.